PDFs linked below! Download and share them with your friends for your next test! - Thermoregulation: maintaining a normal range of body temperature for temperature-specific biochemical processes. How does this differ between organisms? What if you can’t thermoregulate and need to adjust? - Endotherms are the main contenders here, since they need to maintain their core temperature in response to environmental changes. How are organisms like thermostats? How does energy consumption differ between organisms? What are the relationships between metabolic rate and all of these factors? Mice are known for scurrying while elephants are known for being slow. Which, do you think, has a higher metabolic rate? 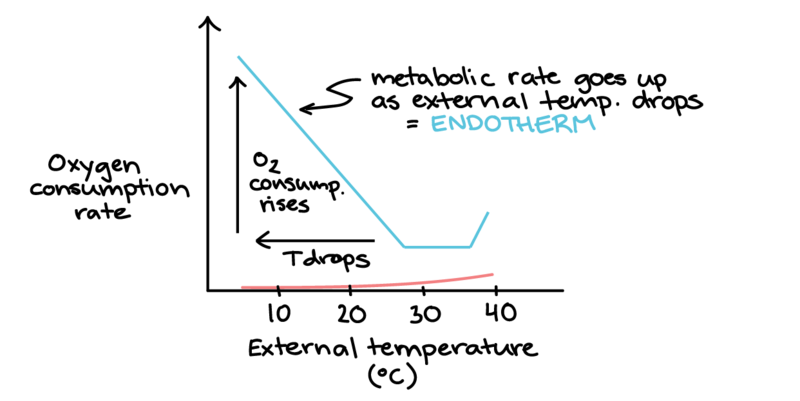 How do endotherms and ectotherms compare?